During the Elizabethan era, one’s destiny or fate was viewed by most as predetermined. “Most of the people in Shakespeare’s time believed in astrology, the philosophy that a person’s life was partly determined by the stars and the planets” (Bouchard). One important exception was William Shakespeare. While his writings show inferences of destiny through fate, he leaned towards Aristotle’s theory, that one’s fate is determined in part by hamartia, or fatal flaw, or by one’s own errors. He definitely went against the mainstream by suggesting one’s fate can be changed by one’s actions (free will), but perhaps Shakespeare had the right idea. The Elizabethan era spanned from roughly 1558 to 1603, during the reign of Queen Elizabeth I. It was the age of the Renaissance and brought forth many new writers, artists, philosophers, and scientists. This era is known for the thirst of knowledge that surrounded many people. As a result, many developments, inventions and new ideas were introduced during the Elizabethan era. This being said, many people of this era still held on to erroneous beliefs such as the earth being flat and the earth as the center of the solar system. They were interested in astrology and held a belief that the stars and planets held some kind of power over man and nature. Every creation had its particular position in a hierarchy containing everything in the world with God at the top. There was a general fear of chaos and upsetting the order of things in the chain of being. A vast majority of people in the Elizabethan era strongly believed in the wheel of fortune, in fate, and in superstition. The wheel of fortune is the idea that fortune varies from low to high and anything in between. The idea of one’s fate being predetermined by God was a widely accepted idea during the Elizabethan era (Tillyard). Free will involves one controlling what one does without being forced or determined by something else. Aristotle was one of the intellects of his day to counter the belief of fate with that of free will. He believed in alternative possibilities that involved choices and it was up to each person as to whether to act on that choice or not. This belief led to an open future based on variable choices one makes. Aristotle recorded his thoughts on tragedy in his book, Poetics. Within this book, he touched on the downfall and/or fate of a tragic hero. He believed that a hero’s downfall was due in part to free choice, not the aligning of the stars or some other astronomical theory. Shakespeare adopted this theory of questioning fate through free will, but used it in the perspective of the fate of all humans, not just the tragic hero. William Shakespeare references the idea of fate in many of his works. Many people believed in the power of the stars to foretell the future. Shakespeare uses this common Elizabethan idea to add excitement and anticipation to the tragedies. 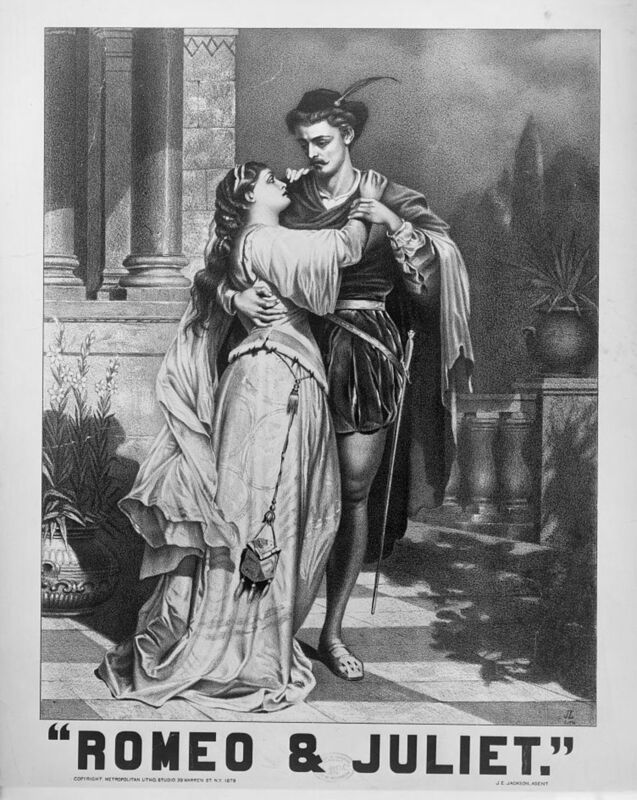 Romeo and Juliet displays the idea of Astrological fate from the very beginning of the play with the famous quote, “a pair of star cross’d lovers take their life (Romeo and Juliet, Prologue, 6).” Although Shakespeare uses traditional beliefs in this quote, he also intertwines the idea of fate due to free will throughout the story. Shakespeare gives glimpses of hope throughout that this couple may overcome odds and survive as a couple. In the end, the French proverb, “One meets his destiny often in the road he takes to avoid it,” holds true for this tragic pair. The issue of fate and free will in Romeo and Juliet is a complex one as it is difficult to determine if the outcome was based on fate or if it was because of choices the different characters made. There are obvious examples of “accidents” throughout the play. For example, the servant who unintentionally invites Romeo and Benvolio to the Capulet party, the meeting of Romeo and Juliet at a time they are both committed to someone else, the quarantine of Friar John, and the presence of Paris at Juliet’s tomb when Romeo arrives. These accidents and the strong belief in the power of fate by the characters, suggest that Romeo and Juliet are indeed predestined to die. There are, however, obvious circumstances where the characters display free will by means of their actions. For example, the feud between the Capulet’s and the Montague’s, the choice to enter in to the bonds of marriage on the part of Romeo and Juliet when they had just met, the fight between Romeo and Tybalt, and the suicides of both Romeo and Juliet. The characters choose these actions of their own accord without force or influence from someone else. Nothing has forced their actions except their ability to choose for themselves what they desire. What, then, is the “greater power” that the characters cannot contradict? The final answer on that is the author. Shakespeare may have guided his audience to think about the idea of fate versus free will. He succeeded in intertwining both ideas into Romeo and Juliet. 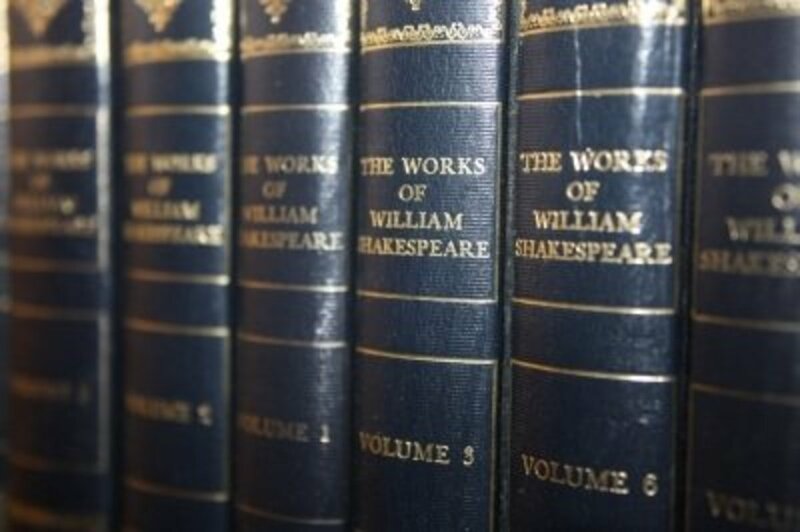 Shakespeare succeeded in making these theories known to the public by including them in many of his plays, like Romeo and Juliet. Romeo’s fatal flaw is impetuousness; he constantly acts without thinking of the consequences. While this may be a common flaw for many young men, not all have the fatal conclusion as Romeo. One example of Romeo’s impetuousness is when an illiterate Capulet servant asks for a list of invited people for the party to be read aloud, Romeo reads it out, but decides to go to the party himself even though he is not invited; knowing Capulet is his enemy. He presents this fatal flaw again when he kills Tybalt, Juliet’s cousin. He, however, placed the blame on fate by saying “O, I am fortune’s fool!” (Romeo and Juliet, 3.1, 131) Romeo again references his belief in fate on his way to the Capulet feast: ‘I fear too early, for my mind misgives / some consequence yet hanging in the stars / shall bitterly begin its fearful date / with this night’s revels’ (Romeo and Juliet, 1.4, 106-109). Romeo has not even met Juliet at this point in the play; he is going to the feast to find Rosaline when he experiences a premonition that tells him that going to the party will lead to disaster. Some people may not believe that fate is something that truly exists in the world. Others, however, believe that every event is predestined and laid out before them like a roadmap to life. Romeo and Juliet portrays fate as an exceptionally crucial force; it seemed to control their lives and push them together, becoming a great influence on their love, and the ending of their parents’ feud. A large part of the beliefs for both Romeo and Juliet involve fate. They believe in the stars, and that their actions aren’t always their own. Romeo, for example, says, "Some consequence yet hanging in the stars...by some vile forfeit of untimely death / But he that hath the steerage over my course / Direct my sail" (Romeo and Juliet, 1.4, 107-113). He's saying to his friends that he had a dream which leads him to believe that he will die young because of something in the stars, something that will happen. This relates back to the Elizabethan attitude towards fate. Romeo does not feel that he is the one who makes decisions; it is all a higher purpose, a different power. Fate is clearly the most dominant force in the play. Romeo implies that he does not have control over his life if he looks to another power above himself to direct him, or steer his course. In the end, it was their own actions that brought about their deaths. Fate brings the lovers together, and sets up their union. Though it seems like an honest accident that Balthasar is the one to tell Romeo about the turn of events, it is more likely that fate holds a much greater influence. Balthasar goes to Romeo and tells him what he believes to be true, but the piece of misinformation he offers is a catalyst leading to the tragedy. It is also a result of fate that Friar Lawrence's plan eventually leads to Romeo and Juliet's demise. Friar Lawrence’s messenger is waylaid by fate in delivering the important plan to Romeo. 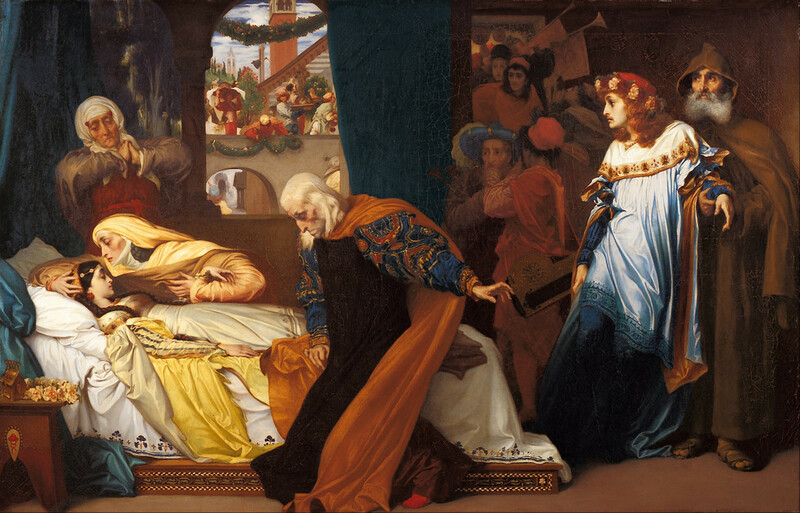 The flaws in the friar's plan leave Romeo a desire to die, which leads Juliet and Romeo to their destiny: death. While fate appeared to have played a major role in Romeo and Juliet, it is also important to address the individual characters’ free will. When the reader is first introduced to Juliet, she is getting ready to meet Paris, the man her father wants her to marry. If she had married Paris that would not have been free will. Juliet’s choice to be with Romeo is exactly that - her choice. Another example of free will occurs in Act III right after Tybalt has slain Mercutio. Romeo chooses to go after Tybalt and exact his revenge. So although Romeo refers to himself as fortune’s fool, it could be argued that Romeo made the choice to go after Tybalt. Shakespeare explores the theme of fate in Romeo and Juliet by allowing the audience to know the end in the course of the play. 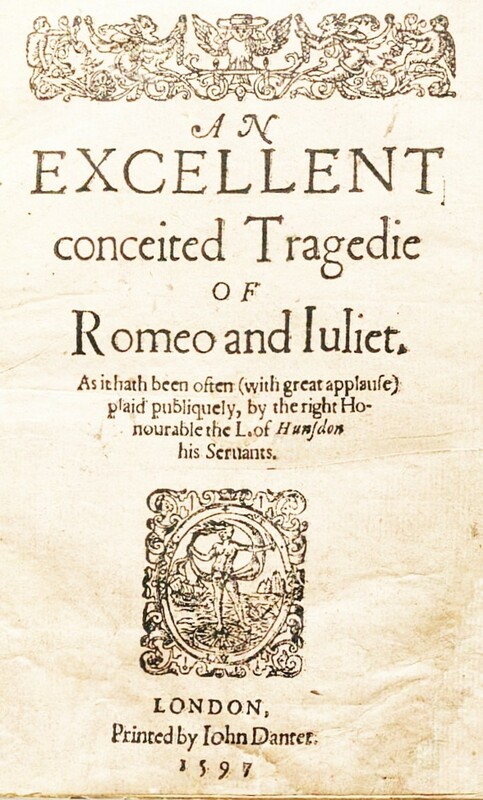 The audience is told of Romeo and Juliet’s fate in the opening lines of the play: “a pair of star-cross’d lovers take their life.” (Romeo and Juliet, Prologue, 6) The audience is urged to contemplate fate and free-will by being placed in a bird’s eye view from the beginning. This technique that Shakespeare used allowed people to unconsciously question their traditional beliefs about fate. The play is filled with references to fate and fortune. Everything seems to fall into place and this general theme appealed to the Elizabethan population. Romeo and Juliet’s lives seem to be ruled by the wheel of fortune because events in the beginning and end are constantly linked together. 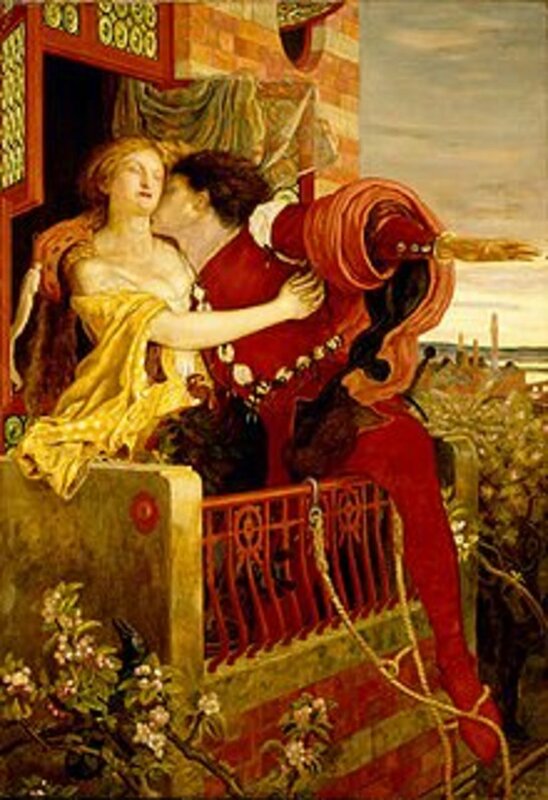 Shakespeare used fate as a major theme in Romeo and Juliet simply because he knew that it would appeal to his audience. Writing plays was his business and to be successful in his chosen career, he knew he must make the audience happy, or at least entertain them. His brilliance was magnified when he was able to slip a few new beliefs of free will in with the traditional beliefs of fate. Aristotle. Poetics. Ed. 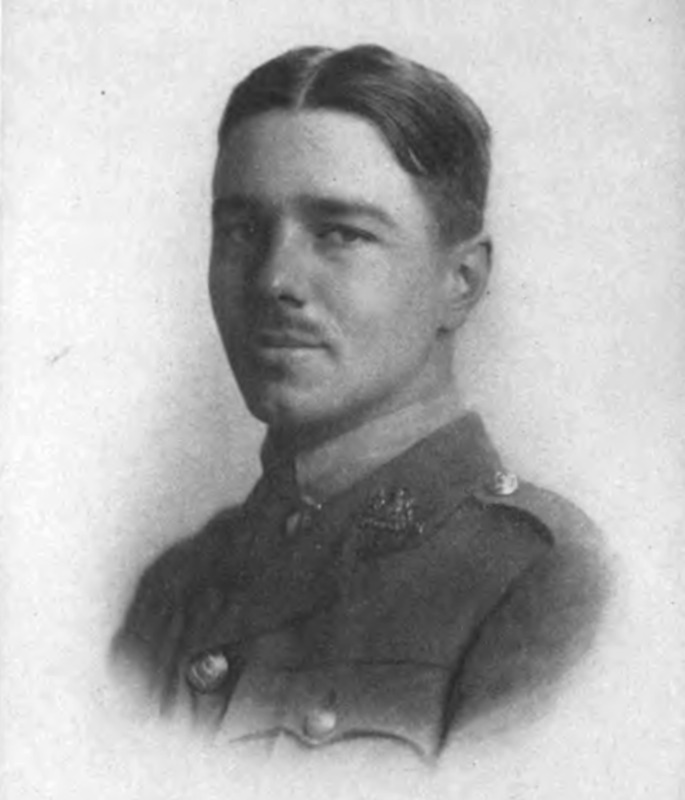 S. H. Butcher. New York: Cosimo Classics, 2008. Print. Bouchard, Jennifer. "Literary Contexts in Drama: William Shakespeare's "Romeo and Juliet." Literary Contexts in Plays: William Shakespeare's 'Romeo & Juliet' (2008): 1. Literary Reference Center. EBSCO. Web. 13 March 2010. Shakespeare, William. The Most Excellent and Lamentable Tragedy of Romeo and Juliet. The Norton Shakespeare, Based on the Oxford Edition. Ed. Stephen Greenblatt, Walter Cohen, Jean E. Howard, Katharine Eisaman Maus, and Andrew Gurr. 2nd ed. New York: W.W. Norton, 2008. 897-972. Print. Tillyard, Eustace Mandeville Wetenhall. The Elizabethan World Picture. New York: Vintage, 2000. Print. I love the wide vocabulary!!!! !